You know you love it– that layer of crisp, creamy, cookie crunch that you find nestled between layers of ice cream cake at places like Dairy Queen. And if you’re like me, you strategically map your bites so that you get the perfect crunch-to-ice-cream ratio with every forkful. But no matter how hard you try, there’s never enough. Well today’s the day that there will be enough. Enough for every bite of ice cream. Enough to spoon over the tops of your sundaes. Enough to eat with a spoon if you so desire. It’s a revolution, I tell you! These crunchies are super simple to make and have the potential to be very detrimental to my well-being. Things this good should not be so easy to make. But alas, I love you guys so I had to take one for the team and make up a batch just to show you how easy they are. 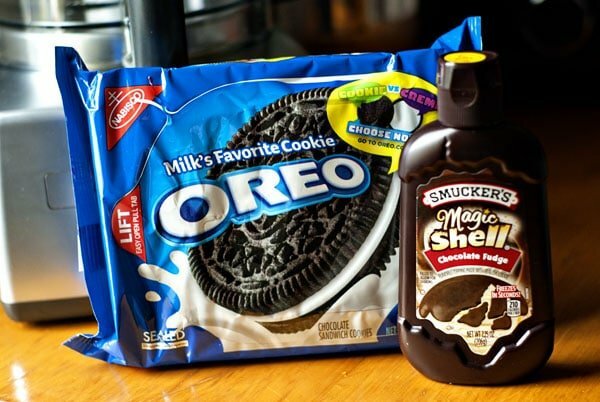 You’ll start with some Oreos and a bottle of Magic Shell. In a standard size package of Oreos you’ll need 2 rows. Plop those cookies into a food processor or get out some aggression with the rolling pin. However you swing it you want to end up with a bowlful of finely crushed cookies. If you’re in need of a flippin’ sweet food processor, don’t forget to enter my Magimix giveaway! And mix until it’s well combined. At this point you can spread it between layers of ice cream and brownies, swirl it into a milkshake, or use it as ice cream topping. 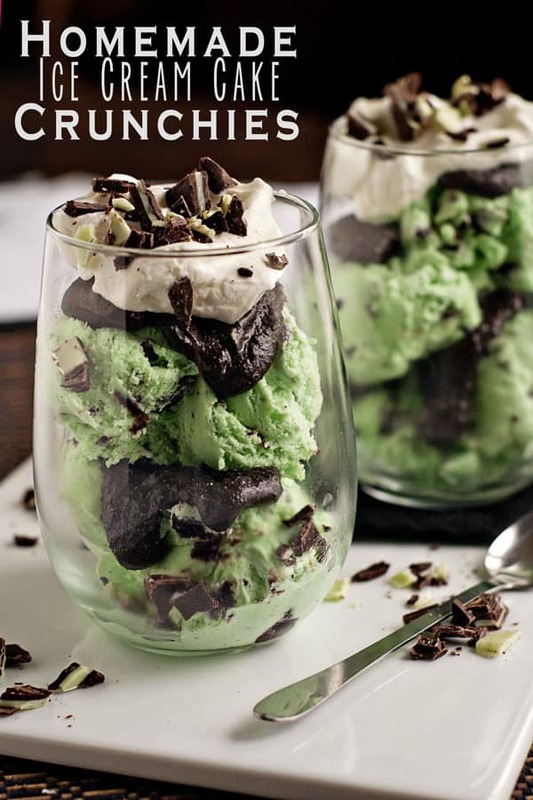 These mint crunch parfaits were a huge hit at my house! 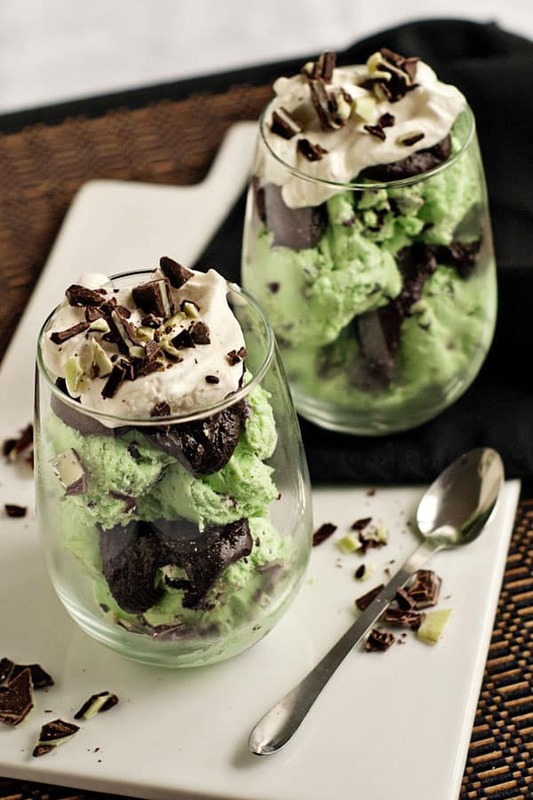 I just layered mint brownie ice cream with the crunchies and topped it off with a little whipped cream and some Andes mints. So, so good! 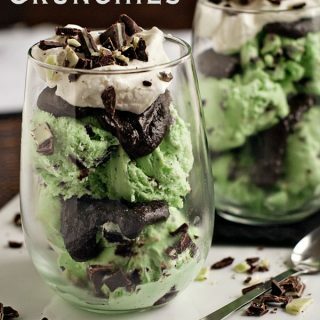 What would you add these ice cream cake crunchies to? 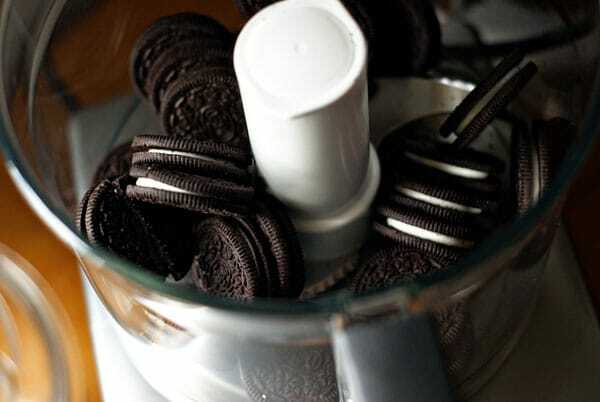 Crush the Oreos and transfer into a bowl.. Pour the Magic Shell topping over the cookie crumbs and mix well to combine. 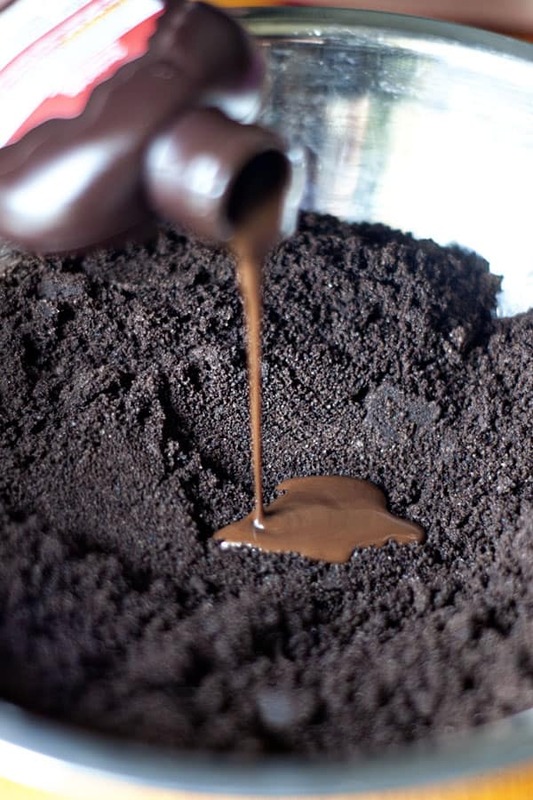 Use as an ice cream topping or filling for frozen cakes or pies. 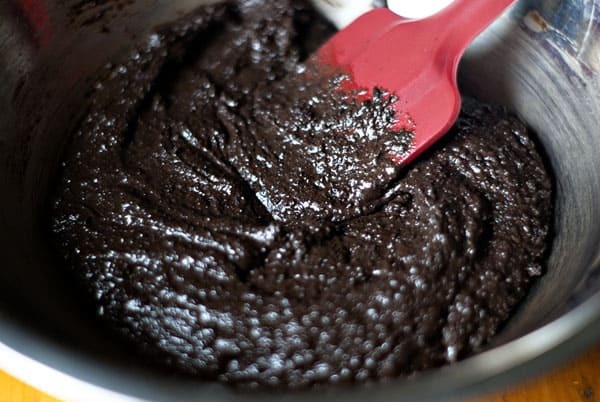 Just found your site and would like to try this recipe to use as a filling for the double layer chocolate cake. Will it hold up well? Many thanks. Do you think this would fare well in a regular chocolate cake? sounds yummy for ice cream! I LOVE this idea! My husband adores that crunchy ice cream topping. He’s going to be over the moon when I make this for him. Yum!